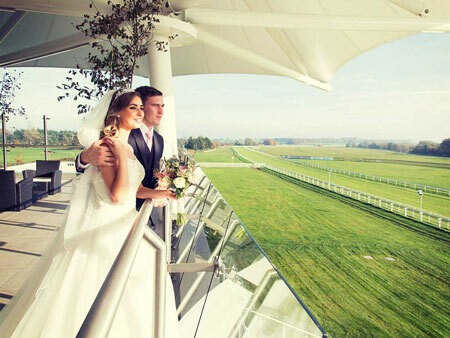 Boasting stunning views overlooking Bath and the nearby Bristol area, Bath Racecourse is a beautiful and tranquil setting that provides a unique backdrop for your Somerset wedding. Fully licensed to hold your wedding ceremony, we are the perfect venue to help you say ‘I do’. We can cater for your whole day from the wedding breakfast, to your wedding reception through to your evening celebration. We can hold up to 150 guests in our elegant Royal Crescent suite, with access to the Roof Garden for stunning views across the valley. 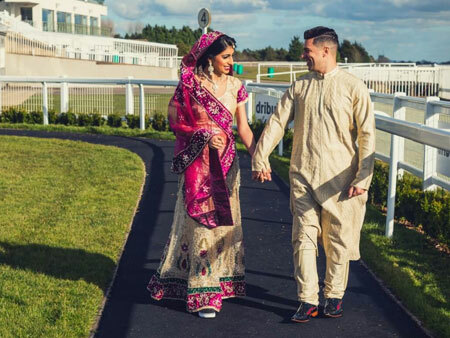 We also have a luxury marquee, the ‘Paddock Pavilion’ that can accommodate up to 250 guests, where we have hosted large traditional and Asian weddings. 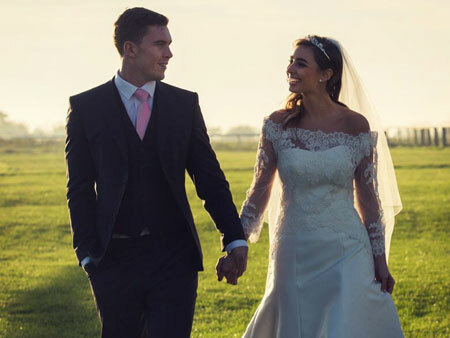 Our Diamond wedding package includes a full service from planning your day to drinks and dancing, however bespoke packages can be created to suit your specific requirements. Exuding class and finesse, our Royal Crescent suite is designed for those seeking something exceptional for their wedding day. Licensed for civil ceremonies, the Royal Crescent can hold up-to 150 and has a private balcony. Our luxury wedding marquee is a blank canvas and offers you the freedom and flexibility to personalise every aspect of your wedding. 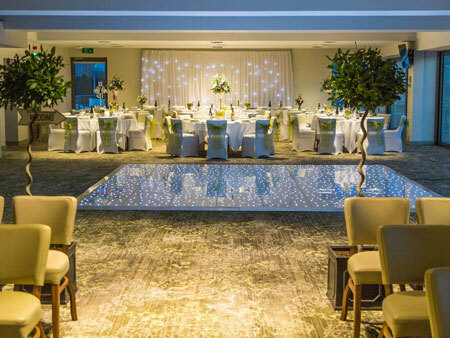 Fully-lined, carpeted and lit, double-doors lead out onto a lush lawn providing a picture-perfect setting for guests to chat and enjoy a celebratory drink. The Paddock Pavilion can accommodate up-to 250 guests with the opportunity to create an additional marquee extension for larger events.